February has proven to be such a fun month so far. Typically it's a quieter month for us, but this year we've been taking our New Year's goal to heart and have seriously been consolidating down on our schedules. This has freed us up to do a lot more fun things, including entertain more! As you know, we love us a good cocktail when we entertain. But here's my little confession for today - sometimes I like to mix a little booze with my baking. 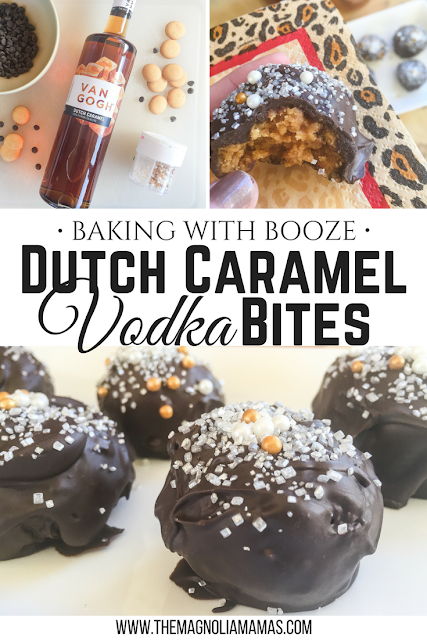 My mouth was watering for caramel bites the moment I read about them, and I was equally excited to that the recipe called for one of my favorite infused flavors of vodka - caramel! Van Gogh Vodka has an awesome variety of flavored vodkas and the Dutch Caramel is one of my favorites (It's like dessert in a glass!). It such a delicious flavor in cocktails that I couldn't wait to see how it would be used to create a fabulous tasting dessert. After putting together the quick and easy recipe that Dawn provided we were smitten upon the first taste. These Dutch Caramel bites are are dangerous in such a good way! The combined flavors create such a decadent taste and we had to stop ourselves at just one or two because - eat responsibly. ;) But we could have easily gone through the whole batch! Place crushed wafers in a bowl and mix with sugar, corn syrup, and vodka. Mix until well combined. Using a small cookie scoop, or heaping tablespoon, scoop a ball of your wafer dough into a ball and place on wax paper. 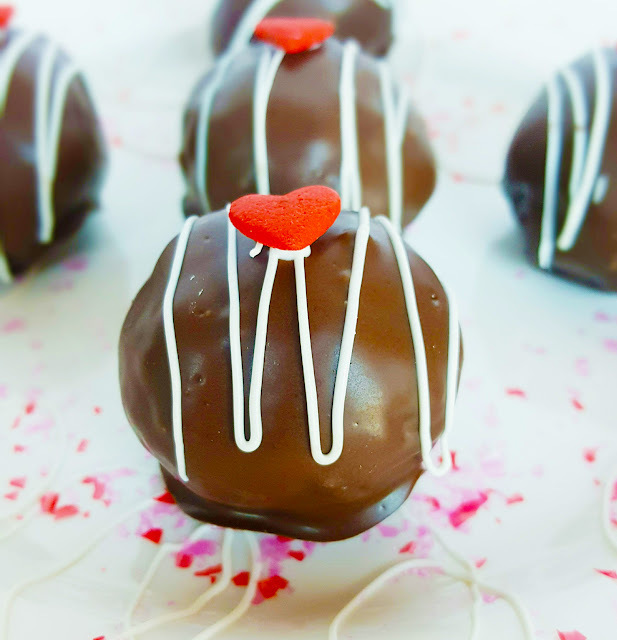 With a fork dip the bites into the chocolate until covered and then place back on the wax paper. Place sprinkles or garnish on top before chocolate cools. Let cool or place in an airtight container in the refrigerator until ready to serve. Note: Dawn suggests for the best possible taste to let these sit for a day or two before serving. This allows the flavors to truly combine for an even more delightful treat. Do you bake with booze? Share with us some of your favorite boozy desserts!